Major General Muhammad Saad Khattak (Retd) is working as Director General of PICSS.He has 35 years of illustrious career of various assignments both inside and outside the country.He is a graduate of French Army Junior Staff Course,Defence Intelligence Directors Course,UK,Command and Staff College Quetta and National Defence University Islamabad.The General possesses Masters Degrees in Political Science,War Studies and an M. Phil in International Relations.He has remained extensively exposed to Intelligence and Counter Terrorism challenges in Balochistan and KPK / FATA.His employment in Balochistan and in KPK , FATA and Islamabad / Rawalpindi at senior positions provided him a unique insight into the ongoing effort against War on Terrorism.He also appears on national/ international TV channels as security expert in addition to writing articles for leading newspapers. 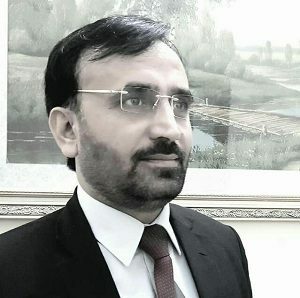 Abdullah Khan is an expert on militancy and regional security. 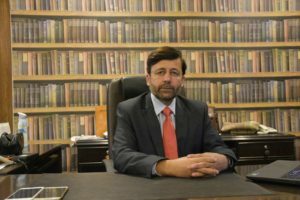 Currently he is working as Managing Director Pakistan Institute for Conflict and Security Studies (PICSS) which is an Islamabad based think tank focused on conflict and security issues in South Asia, Central Asia and West Asia. He is founder of Conflict Monitoring Center which was an Islamabad based independent research center now merged into PICSS. The PICSS has established a database of anti-state violence in Pakistan and counter measures by the state. Abdullah Khan has contributed many research reports on different aspects of ongoing militancy in the region. He is founder of the Conflict Monitoring Center which is now part of PICSS. The CMC is part of International Practitioners Network (IPN) created by the Oxford Research Group –a UK based research organization. The CMC is also recognized as a credible organization which monitors drone attacks in Pakistan. 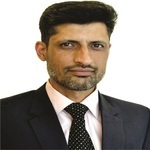 He use to appear on TV talk shows, frequently contacted by foreign media organizations such as Al Jazeera, Reuters, Channel 4, CBC, NY Times, Press TV and others for expert opinion on insurgencies in Kashmir and Pakistan. Abdullah Khan is also an alumnus of National Security Workshop a prestigious workshop organized by National Defense University for the members of parliament, senior military officials and selected prominent individuals from different walks of life.